Disclaimer: I did receive a free e-copy of the book in order to facilitate an honest review. I was very intrigued with the book's description. Vampire fiction usually is a win for me, but this book wasn't like others. I did love the book, but for other reasons. First, the book is told from two different points of view. I love when authors do this! One view is Bianca and the other is the empath, James. Honestly, Bianca is not my favorite character (being an addict and all) but it was nice to see her development and improvement. The Night House focuses more around the two teenagers rather than the vampires. It was nice because it made the book more believable. If it had been more about vampires and bloodbaths, it would have become predictable and not interesting. James and Bianca's instant connection made for a page-turner. I found myself wanting to know more about their backstories and I was rooting for them. I wanted James to be an unlikely hero and of course, I wanted Bianca to snap back to reality. 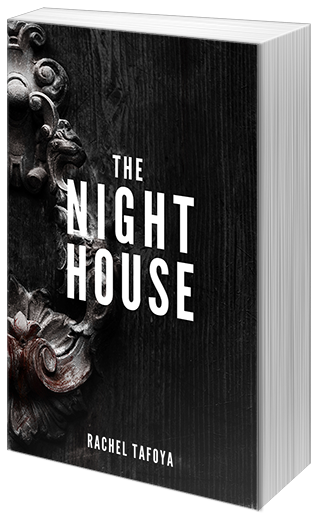 If you want a fun, paranormal read that is different from the norm, look into getting a copy of The Night House.